Make this holiday season extra sweet with this festive dessert! 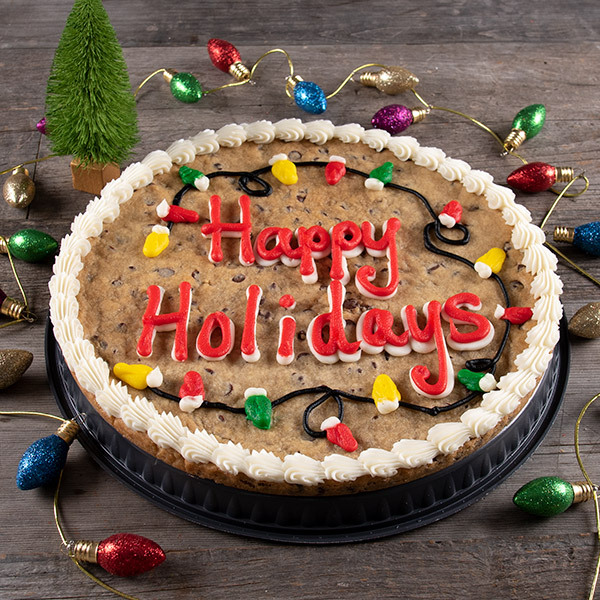 Our classic 12-inch cookie cake is speckled with semi-sweet chocolate chips and then hand decorated with creamy vanilla frosting, creating a delightful treat that's perfect for spreading holiday cheer! Great holiday purchase for our clients! 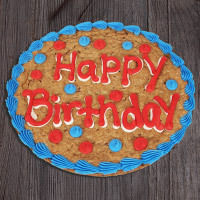 The only issue I encounter is that some of the letters on some of the cookies were messed up due to shipping. 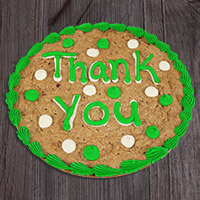 Sent the holiday cookie to my sister and her family and they really enjoyed it. They said it was fresh and delicous. Was delivered on day I reqested.